Leader of the Opposition and Chairman of the Virgin Islands Party (VIP), Hon Andrew A. Fahie (R1), confirmed VINO’s report during a press conference today, Friday, December 12, 2018, held at the studios of the Caribbean Broadcast Network (CBN), noting that the PVIM—during a meeting—formally told him of their intentions to take over the post, given their 3 seat majority in the 5 member Opposition. “As we are all aware by now, the Opposition has recently increased in numbers, from two elected members to five elected members,” Hon Fahie told the press. “In exercising their constitutional rights on Section 70(2)(a), on Tuesday, December 11, 2018, I was called to a meeting and informed by their new leader… [Hon Skelton] that his political group, decided to write the Governor [Augustus J. U. Jaspert] to revoke my position as Leader of the Opposition and have him, Hon Skelton, appointed as the new Leader of the Opposition,” Hon Fahie said. “It is safe to say that their actions are legal,” Mr Fahie told those gathered at the press conference. "Being that they are within the confines of the law… when the letter to recant my appointment as Leader of the Opposition is received by the Governor, I will graciously step aside and allow the wishes of the majority of the new Opposition Members to have their desire, that is supported by law,” he said. 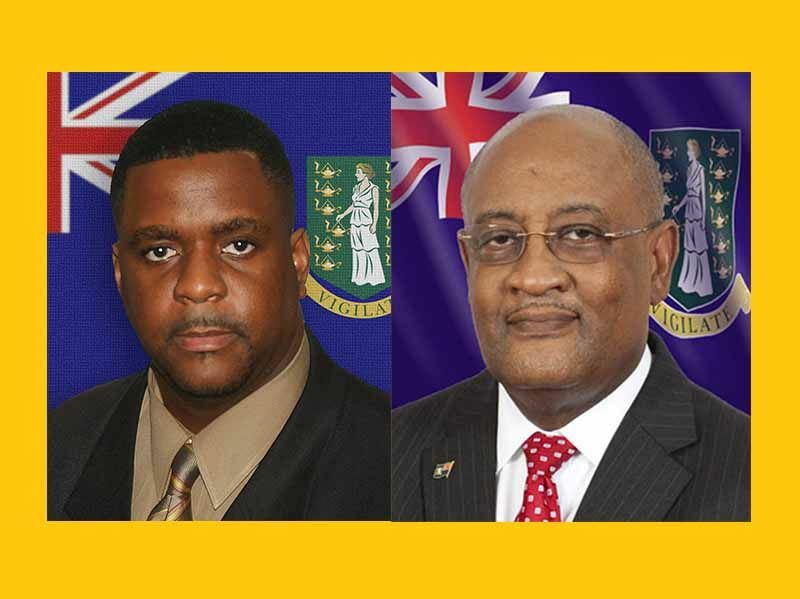 “As Leader of the Opposition, I never compromised my people of the Virgin Islands, I kept to the facts and made sure that you, the people of the VI, receive the facts and thereby making you knowledgeable of what was taking place in your country, that was being hidden from you by the sitting NDP government,” Hon Fahie noted. “Many times I was the voice for the voiceless and brought hope to those who felt a sense of hopelessness,” he said. “It was my pleasure to hold regular press conferences to update the people of the Virgin Islands on current affairs,” he told those gathered. “The need to maintain the integrity of democracy must always be maintained,” he said, while thanking the media, Public Servants, VI public and all "who walked hand in glove”, while he served in the capacity of Opposition Leader. What goes around comes around dont it! @lamblike beast ...Oh be quiet!!!! Fahie along with everyone, saw this coming. The wily politician that he is, got out in front and is trying to make himself look like a statesman. Andrew is absolutely winning the PR battle on this. Just because it is legal doesn’t mean it is right and the PVIM are not winning the hearts of the people on which they should be focused, with this move. But God - all people who believe call on Jehovah to send right leadership for this country and we'll be fine. Maybe Ronnie can spill some beans now and ask uncomfortable questions based on his intimate knowledge of corruption and wrong doinfg Jus sayin. Spill beans now? Why would he ask what he already knows. He’s had ministerial positions for times never heard him make any queries then. Is he going to pretend to have been asleep all through the debacles? Can recall vehement and aggressive defense of the NDP agenda. Is there an opposition or simply the other side of the coin? Ok, we understand the power hungry move. However, PVIM was NOT a registered party last election. I guess the regulations doesn’t look into that. Is this the kind of “Leader” we want, one who has to get HIS way? He does command the majority. This has nothing to do with power grabbing. Andrew of all persons should understand that. The position of Leader of the Opposition carries with it legal roles and constitutional processes. Why in the world would he leave that to the person who he is competing against for Premier of the territory. You people are crazy. Get a grip. Andrew did his in far less desirable circumstances and he did it. Can someone explain then how Fraser got kicked out when it was one on one? None elected members contributed to it too. Tell Ronnie go cart he dunce ra$. He can't even speak to hold a decent conversation. Ronnie don’t mind them, you are proven to do good things, Fahie want you to lead from behind, his aim is to play the victim. Don’t fall for it, do what you have to in the best interest of the people in the Virgin Islands. Now get to work and expose the nonsense our NDP party is doing to we the people who put them there. Well look a joke the NDP2 really ain’t no different Ronnie and his team are really in this for the wrong reason. Not one of them coming to fix this country they coming to fix themself. POWER HUNGRY ! You could put a lipstick on a pig it’s still a pig. The PVIM is just like weeds leaving one area and stifling the growth of another. I honestly don’t know who they think they’re fooling. That must be some special koolaid they’re drinking to think we can’t see through the corruption. It is the law however Ronnie actually pushed for this look what power hunger could do. Fahie stated he was the voice when people felt hopeless. I beg to differ. When we the people felt hopeless when VIP was in power, he was on the team making us feel that way, and we voted them OUT! He may forget, but we the people didn’t. Their chant was “ if you’re not with us, then you’re against us”. Remember now? Don't like it...If they had form an allegiance with VIP and all the opposition members vote for Ronnie that the way. But to have a new party that has no history never been presented to the people don't even know if its going to be relevant at the upcoming election .Hmm This constitution need changing and worded like this " A Political party must contest at lease one election before it can be considered and sanction as a True and ligit political party in the house of assembly "
What a thing! Ronnie and his gang power hungry from the time they were in the NDP government so no one should expect them to change. The house has less than 3 months to operate and Skelton could've just serve the country he has to be in charge in opposition when he couldn't be in charge in his own party. Take the win Skelton but you just killed your political career when you needed to humble yourself and be in opposition until election. He is dead as a candidate. Reading the news has become more entertaining than Netflix. It bothers me that people just lose sight of the laws of this land. If it is the law, then he is entitled to be the Leader of the Opposition. We need to stop leaving our personalities get involved in following the ordained laws of this Territory. Please note that I am for no party, but I am for the laws that have been set out to rule our little nation. Slavery was legal too but IT WAS WRONG. Just because something is legal don't make it right. This is sooooo wrong on so many fronts. This party was not in existence during the general elections so how can they now represent the people under that banner in the HOA? Something is wrong with that picture but let them have their day because it will be short lived and NO, I am NOT a VIP supporter just a dissapointed BVIslander. It’s not a party issue. All five of them could be independent. They are in the Opposition. The majority can vote for their leader. So the Constitition needs no amendment. If you vote a person in the HOA, they can become leader of the opposition whether they have a party or not if the majority of those sitting in opposition choose that person as their leader. Governor please do not allow a change at this time. We the people do not know if the split in the NDP government was not orchestrated for this sole purpose. How can a part of corruption police itself under another name? Election is near. Let the election determine what happens. Some of the politicians have lost their way. They do not know what is service and representation. Without honesty and integrity this country will continue to slide backward. The present fiasco in the House of Assembly is like an amusement story and it is because the members of the PVIM do not have any political experience. 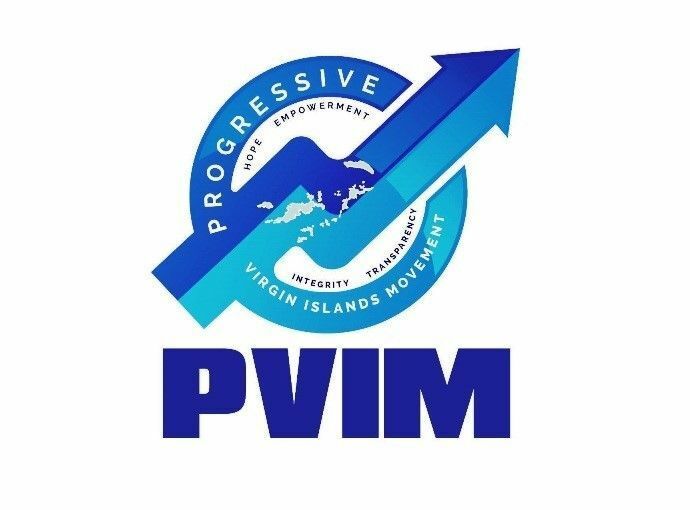 First of all the PVIM was not a party at the last General Election and the members there of were elected under the NDP. Therefore they are in the HOA as NDP elected members. I therefore submit to you that there CANNOT be two NDP parties being represent in the HOA. Once the two ministers of government were fired and they crossed the floor to the opposition along with another member ,they became independent members in the opposition. The PVIM cannot be represented in the HOA because it was not a political party when General Elections were held. The leader of the political party that is elected could by its party could either be the Premier or the leader of the Opposition. Hon. Fahie was elected by the VIP congress. As such His Excellency the Governor appointed him based on submission of his party. Hon. Fraser and Hon. Skelton will no longer contend for seats in the HOA because the will both loose their seats. Merry Christmas.